TechnologyAdvice educates, advises, and connects buyers and sellers of business technology -- including those in the medical IT space. This blog discusses dental IT trends and challenges through the eyes of a product analyst (and son of a dentist). According to a recent study from the American Dental Association, 73.8 percent of solo and 78.7 percent of group practitioners are now using electronic dental records. Those numbers have roughly tripled in the last decade, however, those high percentages can be attributed mainly to the study’s structure — the 73.8 and 78.7 percent of practitioners “using electronic dental records” are mostly just using practice management software that handles patient scheduling, billing, and other administrative functions — they’re not all “paperless” offices by any stretch of the imagination. As part of our work at TechnologyAdvice, we connect software buyers with software vendors; as part of our process, we ask several filtering questions that help identify the best systems. According to our data, dentists who’ve shopped for electronic dental records or practice management software in the last year show an overwhelming preference for cloud-based systems, as opposed to traditional on-premise software. Dentists are choosing the cloud twice as often as an on-site installation, and you may want to consider doing the same. Despite the misleading introduction to the study above, only around 15 percent of dentists in the United States can say they have a “paperless” practice, and use a tablet or other chairside input interface to electronically record observations, notes, etc. Until recently, the only way to do this was to have a workstation at every chair, linked back to an expensive server running the software, or — even more expensive — have a separate software license for each workstation. The late 90’s and early 00’s saw the advent of tablet PCs and Wi-Fi that would allow system access without wires, mice, or keyboards, but it wasn’t until the last few years that a “paperless” office became achievable and affordable. When someone refers to “the cloud”, or “cloud-based” software, you can generally just substitute “the Internet”, because that’s essentially what they mean. Instead of your software being installed to a server that is sitting in a back room in your building, it’s installed onto a server sitting in your vendor’s data center. Think of it as a traditional installation writ large — made possible by the ever-increasing speed and ever-decreasing cost of processors, storage, and Internet connection bandwidth. This offers a number of advantages and a few disadvantages when compared to a traditional on-premise model. Cloud-based software usually requires a much smaller up-front investment when compared to an on-premise system. This is because most cloud-delivered software is billed as a monthly or annual subscription, usually on a per-provider basis, whereas on-premise systems most often have a large up-front licensing cost, in addition to any annual fees. Depending on the size of your practice, the on-premise installation could also require an expensive server to host the system, in addition to any workstations in your operatories or at the front desk. Cloud-based systems don’t require an on-site server, and if the software is Internet browser-based, the system can usually be accessed from any device with an Internet connection, whether its a traditional workstation, a tablet, or smartphone. The ability to log in to your system from any device with an Internet connection is the real game-changer when it comes to going fully “paperless”. Eliminating the costly server and IT personnel is only the beginning; cloud-based systems are updated whenever the vendor releases a new version, and usually there are no upgrades required to your in-office hardware, letting you keep the same imaging sensors, tablets, computers, etc. Remember the headaches from April 2014 when Microsoft discontinued support for Windows XP? Most dentists using cloud-based software had a much easier time. With a cloud-based system, the onus for HIPAA compliance falls more on the software vendor — who, usually, is far better at HIPAA compliance than you. Theoretically, a dentist on a cloud-based system could still use XP today, and as long as it is secured with standard anti-virus and intrusion protection, there would be no worry of HIPAA violations. In most cases today, cloud-based software is the better choice. The reduced costs and HIPAA liabilities offered by a cloud-delivered system will allow more dentists to make the leap to a fully “paperless” office environment. Of course, no office or dentist is the same, so ultimately the choice is yours. Do your homework, ask those who have gone before, and seek out advice from non-vendor third parties. 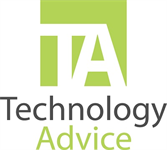 Many dentists we’ve worked with at TechnologyAdvice have said that making the switch to the cloud was the best decision they’ve ever made.